Cowabunga, it's the new turtle movie! $20.030 million on 2868 screens. After the enormous success of 1990’s Teenage Mutant Ninja Turtles, a sequel became inevitable. 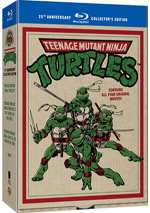 Given the fickle nature of the series’ young target audience, New Line rushed out the follow-up: 1991’s Teenage Mutant Ninja Turtles II: The Secret of the Ooze hit screens a mere 357 days after the first picture debuted. That’d be a fast turnaround for movies in continuous production ala The Lord of the Rings; given that the Turtles flicks weren’t planned that way, the rapidity involved seems even more remarkable. This was clearly a “strike while the iron’s hot” deal, and Ooze did manage to do pretty well at the box office. It made $78 million in the US, a total that represented three times its budget. That wasn’t nearly as good as the ten times its budget that the cheaper and higher grossing first flick did, but Ooze turned a profit and spawned another sequel. In the first film, we learned that radioactive waste turned ordinary turtles into a collection of humanoid superheroes. 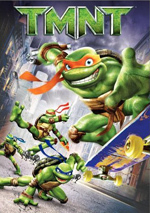 Trained in martial arts by a mutant rat named Splinter (Kevin Clash), turtles Leonardo (Mark Caso, voice by Brian Tochi), Raphael (Kevin Troum/Laurie Faso), Donatello (Leif Tilden/Adam Carl) and Michelangelo (Michelan Sisti/Robbie Rist) fight crime in the Big Apple. Though left for dead in the original movie, archenemy Shredder (Francois Chau) returns here and seeks revenge. He steals some radioactive material to use to create his own army of mutant warriors. Of course, the Turtles fight back against this, and they use a new weapon of their own: martial arts-trained pizza boy Keno (Ernie Reyes, Jr.). At no point did the first Turtles threaten to become a great movie. At its best, it provided moderate entertainment and breezy fun – but no more. The film boasted some charm but it failed to really impress. With that as a backdrop, it became tough for Ooze to disappoint. After all, when the first flick never offers anything more than mild pleasure, how far can the sequel fall? Not very, and that means Ooze feels like a fairly close companion to its predecessor. Actually, one could argue that Ooze works better than Turtles. The latter lacked much of a story; it succeeded mostly due to the inherent goofiness of the characters and premise. That side of things lacks the same freshness in a sequel, so Ooze compensates with a more interesting plot and additional character development. No, the Turtles aren’t exactly well thought-out personalities, but they come across as a bit more individual here. The idea of the new mutants adds life here. They’re not the most dynamic villains, but they’re different, so I give the movie some credit for that. Though Ooze easily could’ve stayed with Shredder’s human minions, it tried to spice things up a bit, and I appreciate that. Like its predecessor, Ooze often remains silly and insubstantial. Actually, it’s a lighter take on its subjects. While the original was already pretty peppy, it’s Hamlet compared to Ooze. Which I don’t necessarily regard as a bad thing. 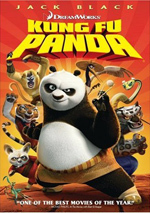 This is a movie meant for kids, and it uses inherently absurd/silly characters. I guess a darker tone could work for the material, but I think the Turtles fare best when kept comedic and light. We get that in Ooze, and the frothy spirit helps keep the movie watchable. Granted, it falters toward its climax, as the scene in a club – complete with Vanilla Ice cameo! – threatens to sabotage the flick. Nonetheless, it offers decent kid-oriented entertainment. Teenage Mutant Ninja Turtles II: The Secret of the Ooze appears in an aspect ratio of approximately 1.85:1 on this Blu-ray Disc. 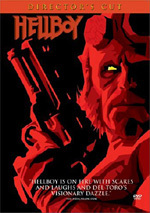 After the spotty visuals of the first movie’s Blu-ray, I hoped the sequel would provide stronger picture quality. And it did, though the transfer still seemed erratic. Grained remained an issue. While it was substantially less prominent than with the prior flick, Ooze still suffered from grain levels that appeared excessive at times. Nonetheless, this wasn’t a huge issue, and it didn’t mar the proceedings to the degree I saw during Turtles. This meant the ramifications of the heavy grain weren’t felt to the same degree. For one, colors improved. The hues of Ooze looked pretty bright and peppy much of the time. A few shots were a little flat, but the tones usually appeared lively. At least we can actually tell the difference between orange and red masks; they looked virtually the same in the first movie. Blacks remained fairly dark and deep, but shadows showed growth. Again, the lessened levels of grain helped in this regard, as low-light shots were better able to demonstrate greater clarity. Those scenes could still seem a bit murky, but they were usually fine. Sharpness also demonstrated improvements. A few shots – especially during interiors – looked somewhat soft and fuzzy, but the movie usually provided good definition. While I didn’t think it showed excellent delineation, the image was generally positive. Source flaws were modest; a few specks appeared but nothing serious interfered. I thought this was a “C+” transfer. That was a definite improvement over the picture grade for Turtles, and Ooze marked an even bigger step up when I examined the film’s Dolby TrueHD 5.1 soundtrack. The original flick suffered from boomy, muddy audio that lacked good placement. While Ooze didn’t offer a killer soundtrack, it certainly worked much better than its predecessor. Audio quality showed substantial improvements. Bass response was appropriate and demonstrated nice warmth and depth. The mix lost the super-heavy low-end that overwhelmed the first film; instead, we got clean tones that matched the material well. This meant the rest of the audio was able to succeed. Speech was natural and concise, while effects offered good clarity and accuracy. Music was also pretty full and rich, though it could appear a little wan at times. As for the soundfield, it provided much better localization. Music showed nice stereo imaging, and effects cropped up around the room in a logical, well-integrated manner. The surrounds added solid involvement but didn’t overwhelm us like they did in the first movie. While this wasn’t a great soundtrack, it merited a “B”. Produced literally as soon as its predecessor showed box office life, Teenage Mutant Ninja Turtles II: The Secret of the Ooze feels like an extension of the first flick. Take that for better or for worse, but at least the sequel doesn’t disappoint; if the original entertained you, I expect you’ll enjoy Ooze as well. The Blu-ray works better, at least; it provides generally good picture along with very nice audio. Extras remain insubstantial, unfortunately. Still, this is a fairly positive presentation of the film. 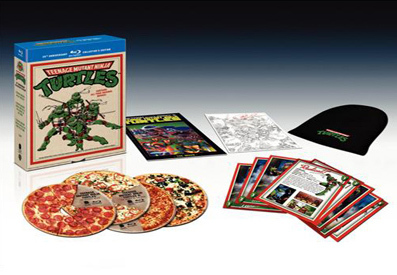 Note: the Ooze Blu-ray currently appears only as part of a “25th Anniversary Collector’s Edition” boxed set. This also includes 1990’s Teenage Mutant Ninja Turtles, 1993’s Teenage Mutant Ninja Turtles III: Turtles in Time, and 2007’s TMNT.